The first time I talked to Erin on the phone, I liked her immediately. The moment we started talking details of the wedding, I knew I really wanted to work with her. When she started telling me about thier love story, I was hooked. Erin had a very focused vision for marrying her long time love Robbie. Added bonus, Robbie was just as excied and involved in the planning as she was! Once we started getting into the planning details, I was even more excited. Erin and Robbie had assembled a rock star line up of vendors and thier venue was the ever classic Castaway. They were incoporating all the fun things they loved about each other - her love of dinos, his love of grilled cheese.The day of the wedding came and it was pure magic. The weather held off until the end of the night, everyone looked amazing and Erin married her best friend. The day of the wedding arrived and the day could not have been more perfect. Erin and Robbie both got ready with thier wedding parties at the beautiful Nines Hotel, which provided the ideal backdrop for the wonderfully talented Maria Lamb. 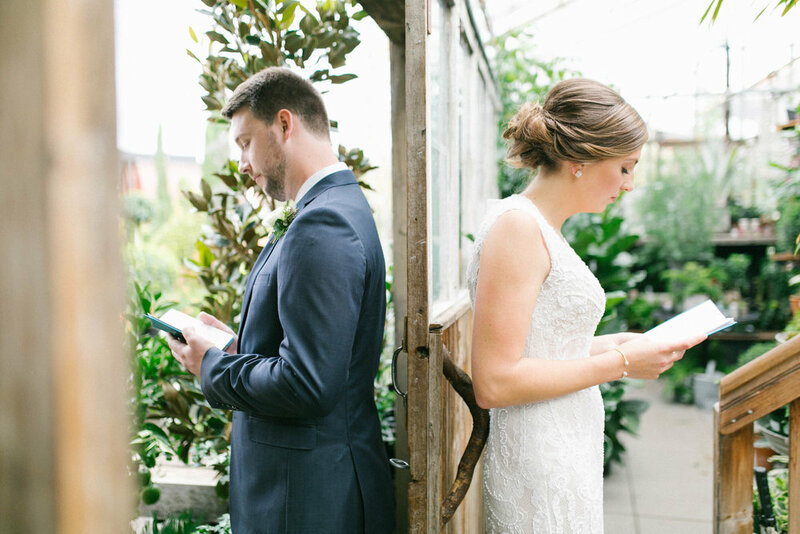 Once at the Castaway, the couple enjoyed a first look that included love notes to each other. After that, Erin did something so special and sweet - a first look with her dad and brother! The ceremony was officiated by Robbie's brother, with the couple sealing the deal with a shot of whiskey. After the ceremony came cocktail hour, family photos, dinner, toasts, dancing and photobooth. The night was capped off by the oh-so-good late snacks provided by The Grilled Cheese Grill. 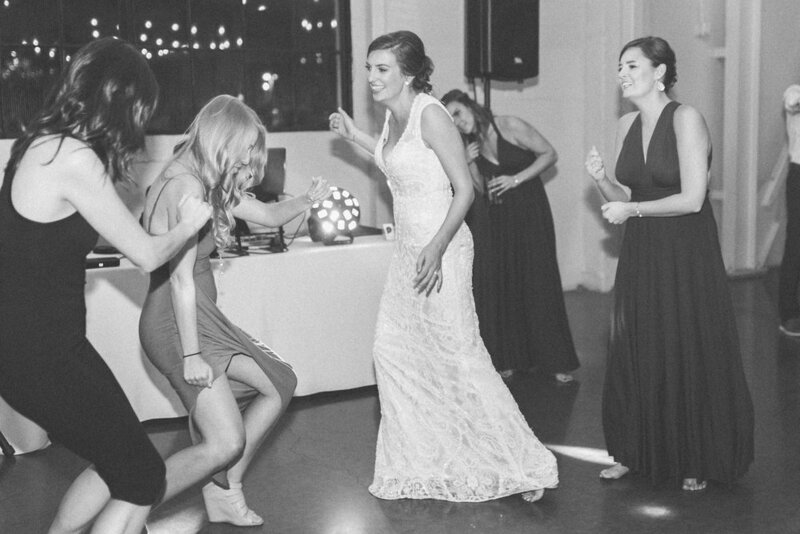 Erin and Robbie's wedding was one for the books.